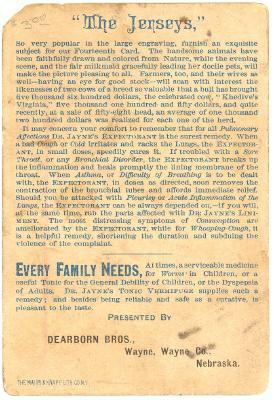 Advertising on back for Dr Jayne's Expectorant, Dr Jayne's Liniment, and Dr Jayne's Tonic Vermifuge. 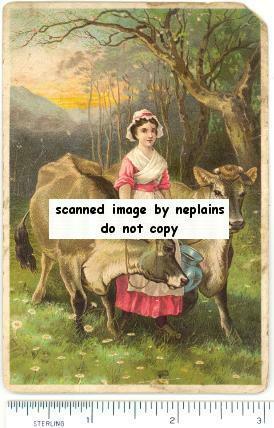 Presented by Dearborn Bros, Wayne, Nebraska. Measures apx 3" x 4-1/2". Made by The Major & Knapp Lith Co.
Light corner and edge wear. Upper right tip missing.